Wanting to explore the NT’s most famous National Park? Need a little help deciding exactly which sites to visit? Well we’ve put together a list of our favourite spots and activities, in order from number 10 to number 1, some are the big ticket items while others are more obscure and off the beaten track. We hope this list will help you choose and get the most out your next Kakadu safari. Yellow Water is Kakadu’s most famous billabong and for good reason. This tranquil waterway is fringed by water lilies and pandanus and home to a myriad of bird species, fish and of course salt-water crocodiles. 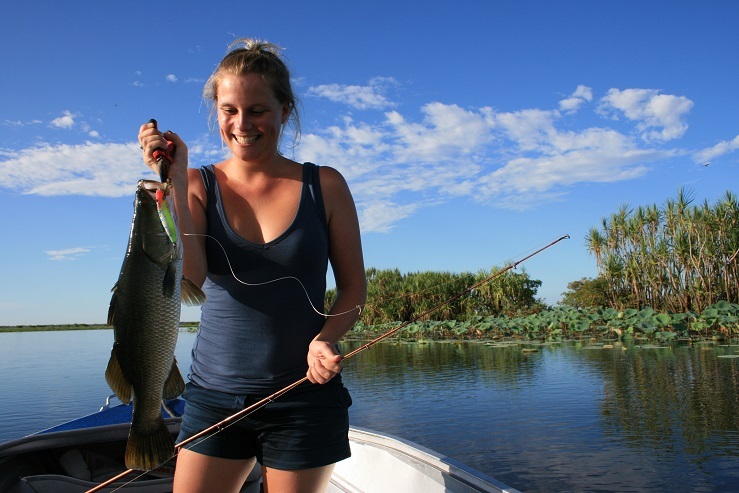 Most tourists choose a cruise on the billabong but we think a small-group fishing charter is a better way to experience it and you might just be lucky enough to catch dinner! 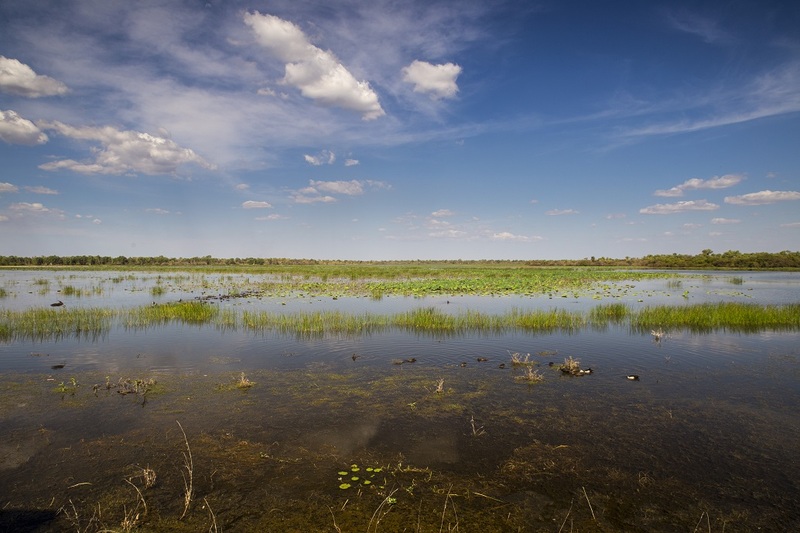 Mamukala Wetlands is about a 15 minute drive from Jabiru. Here you’ll find a large bird hide overlooking a very pretty wetland home to an array of bird life. This wetland really comes alive late in the year (September/October) when thousands of Magpie Geese congregate in the area to feed. It’s a spectacular site seeing thousands of geese taking flight at once and the noise of their ‘honking’ can be deafening! In 1987 local Jabiru storeman was decapitated by a 5m crocodile at the crossing after entering the water while fishing. Nanguluwur is one of Kakadu’s lesser known rock art sites located near Nourlangie Rock. Here you can escape the crowds and see some very impressive rock art, some thousands of years old. Nanguluwur is a relatively small gallery but many styles of painting are represented here. There are some very old dynamic figures including spirits and mythical beings, various animals and even a painting of a sailing ship from the more recent contact art period. It’s about a 1.5km hike in so the trick is to set off early in the morning while it’s cool and shady. Maguk is a must on any visit to Kakadu. The walk into Maguk follows Barramundi Creek which opens up into a large waterhole beneath a waterfall. It’s a great place to cool off and swim but also a great place to put on the goggles and go for a snorkel. The crystal-clear water is home to a variety of animals including various fish species including of course the famous Barramundi. Please note fishing is not allowed here. Next week we will release our Top 5 so stay tuned!